Not very often do new business choose yellow as their brand identity colour. However, best branding consultants in the world are aware of yellow brands could be a powerful marketing weapon to attract the attention of the customers. Besides, yellow brand identity designs can be used to relate companies to many features such as creativity, confidence, optimism, friendliness and extraversion. It is the right choice for new brands that want to reach high relevance in their market. This colour is not very common at branding, however it could be a good one in some cases. Yellow could really make a difference from other brands if you’re thinking of basing your strategy on confidence, optimism or creativity. It’s obviusly a risky choice because it could be related to cheap products, special offers and discounts… Make no mistake, those mental relations are often a cliché. You should remind yourself that your brand will be what you want it to be. Colours at brand identity design are important, but there are a host of extra factors that determine the way people perceive companies and their brand identities. I’ll give you an example: It would be a coherent and solid strategy if your branding consultants choose yellow to create a luxury brand identity design. While selling luxury products nobody would to think that your products are cheap, so you just be making a difference from your competitors. The main color at luxury branding design is usually black. So choosing a different colour you’re distancing from competitors and also building a very singular identity. You should be aware of colours have inifite meanings. In this case, yellow colour could be related with gold colour. Besides, it have always a nuance of confidence and creativity. 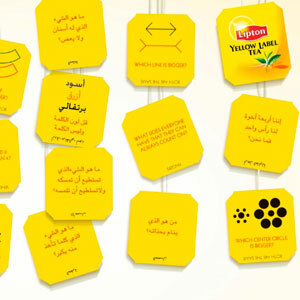 Yellow is an effective marketing weapon in advertising campaigns, product packaging, corporate business areas, etc. Nevertheless, yellow colour is much more than confidence and creativity. It’s no coincicence that taxi companies chose yellow almost always. It’s due to its power to attract attention and also to its ability to make a difference from the rest of the colours. Not only do best brand identity designers use yellow at brand identity design, but also they use it as an effective marketing weapon in some campaigns, product packaging, business areas, etc.